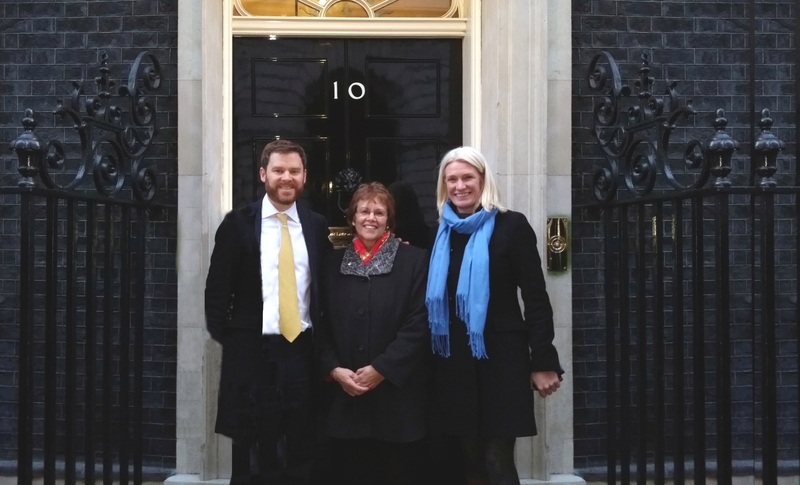 Daphne Sharp was delighted to receive an invitation from Amanda Milling, prospective MP for Cannock, to visit The Houses of Parliament and 10 Downing Street as a representative of the Monthly Alzheimer’s Support Group (MASE). Amanda recently showed her support for the MASE when she attended the launch of a new MASE Group which opened in Hednesford in October 2014. 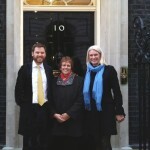 Daphne said ‘It was a real privilege to represent the MASE on the day and it was a wonderful experience to actually have a tour of 10 Downing Street. The day was made even more special when current MP Aidan Burley and his new wife Jodie, took time out of their busy schedules to spend the afternoon with the group”. Daphne Sharp and Elaine Dunlop (a former Trustee), have both been touched by Alzheimer’s/Dementia, and started the MASE groups in 2009. The MASE now has groups in Cannock, Haughton, Hednesford, and Rugeley, with a new one having opened in Stafford in May of 2015 at Castle Church Hall. The MASE brings together Carers and cared for enabling them to build up networks of support, and giving them two hours of “normality”, where they can mix with other people who are in the same situation. Sharing information, advice, experiences and support is the most powerful way to learn more about dementia. There is no charge for the evening, which comprise of refreshments, a light buffet and musical entertainment. However donation boxes on available should people wish to contribute to the evening. The groups do not often have talks about dementia, but do have representatives from The Alzheimer’s Association who attend on a regular basis; should they wish to Carers can then have informal discussions with them during the evenings. There are also many leaflets available covering a wide range of subjects ranging from benefits, healthy eating, to ‘Who cares for the Carer’. With a team of over 30 fantastic volunteers, which includes the Trustees of the Charity (Daphne and her husband Richard) the MASE has gone from strength to strength and over the years has helped many people. There are no paid personnel in the Charity and all money donated, goes back to the Carers and cared for attending the Groups. If you would like more information on the MASE Groups, please contact Daphne on 01785 211140. This website www.themasegroup.com will also give more information on the Groups.